When I first came to OU and was getting settled across campus with the few people I had some connection with I was shown around the Sam Noble Natural History Museum. On the second floor back in the hallway to the VP lab and collections there are these two enormous paintings (13.5 feet long by 3.5 feet high). After taking in the scale and content of these behemoths I immediately looked for the signature. “Ralph B. Shead ’42” and “Ralph B. Shead ’34 (or 39 it is obscured by the frame I believe it is 34). 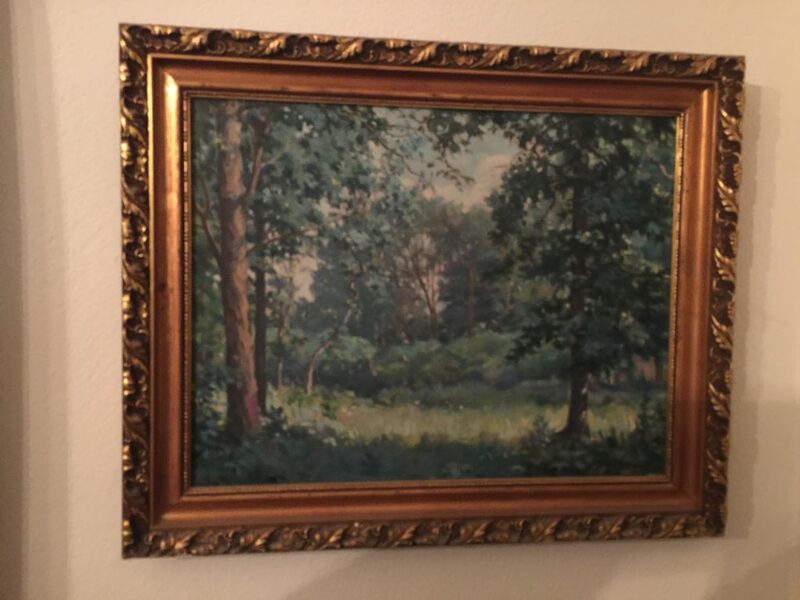 Who was this artist? What else had he done, and why was he doing these things at this scale? This was years before I started the digitization and scanning project and information was slow in coming. I wouldn’t even find a photo of him for 2 years. When I started scanning and updating an internal manuscript on the history of the museum I gleaned a little more information. You can see how hard it is to piece this stuff together. Langston missed Shead’s retirement by a few years which is understandable because Langston was working at the National Museum of Canada from 1954-62. Shead stayed at the Museum until 1960 or 61 and he wan’t simply the museum artist. 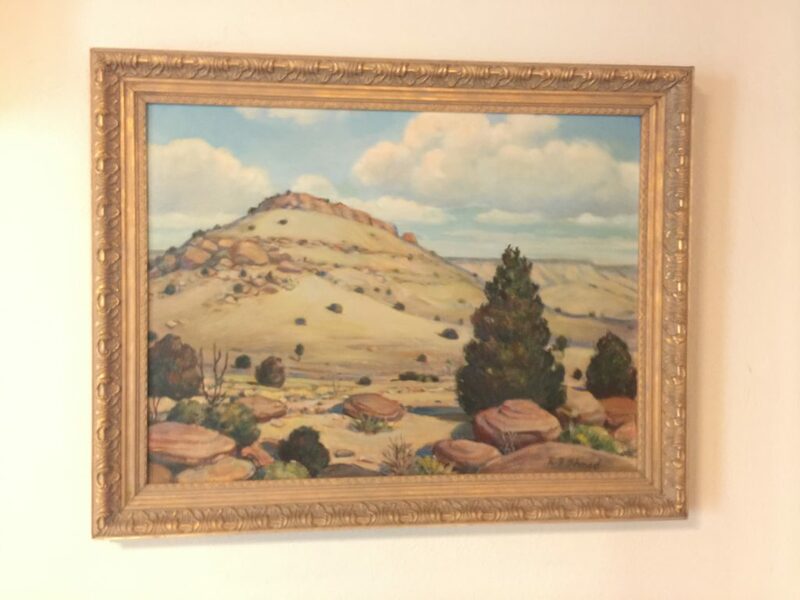 In addition to his museum technician and painting work he served as the Oklahoma sate superintendent for the WPA during the 30s (when the bulk of his work was completed). 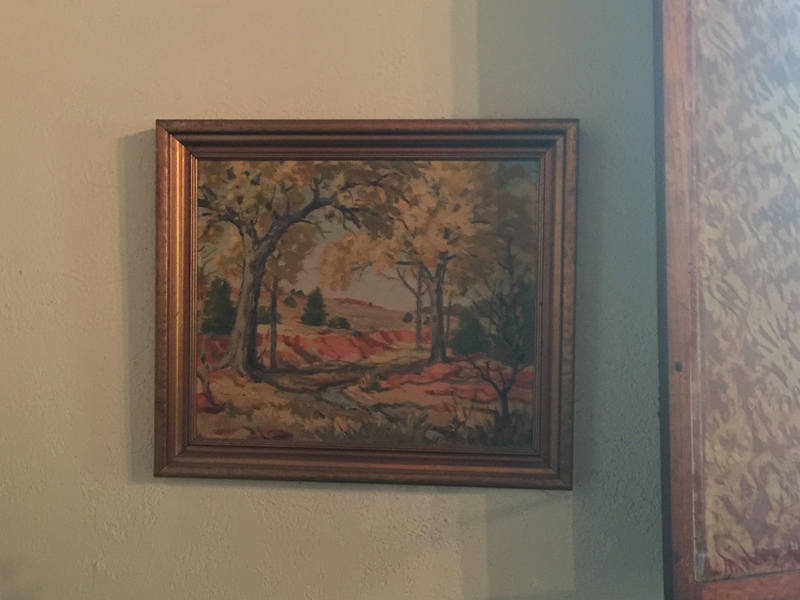 The WPA records and receipts over in our Western History Collection indicate that some paint and supplies were purchased as part of the “Fossil Bones” project making at least the two paintings upstairs technically WPA art. 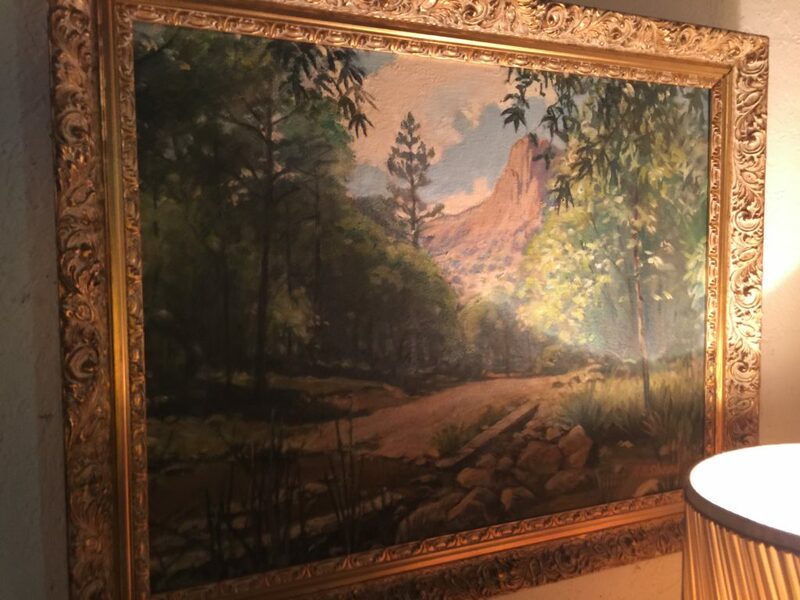 Through some interesting turn of events another giant (13-footer) painting now resides down at the Texas A&M Biodiversity Heritage prep lab. The irony behind this is that its subject matter is Norman’s native (Permian) son–the Cotylorhynchus. 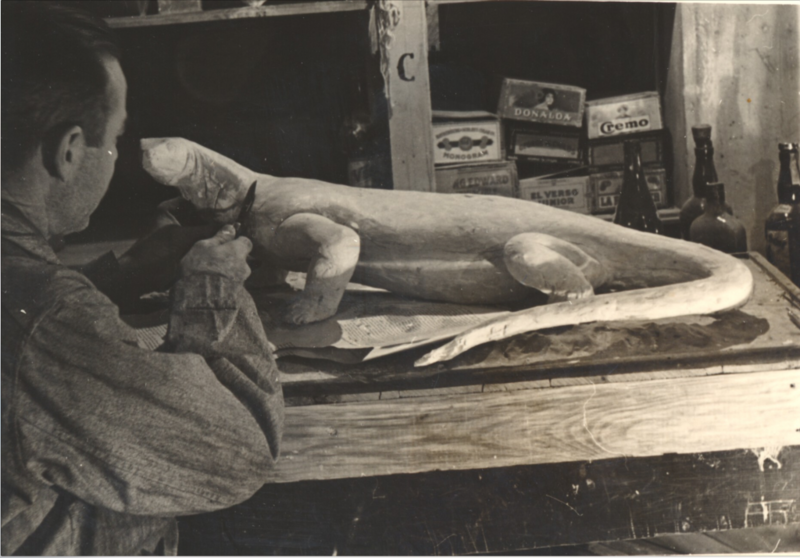 The Cotylorhynchus painting falls under the WPA years as well and was complete with the aid of a plaster or clay model he created. 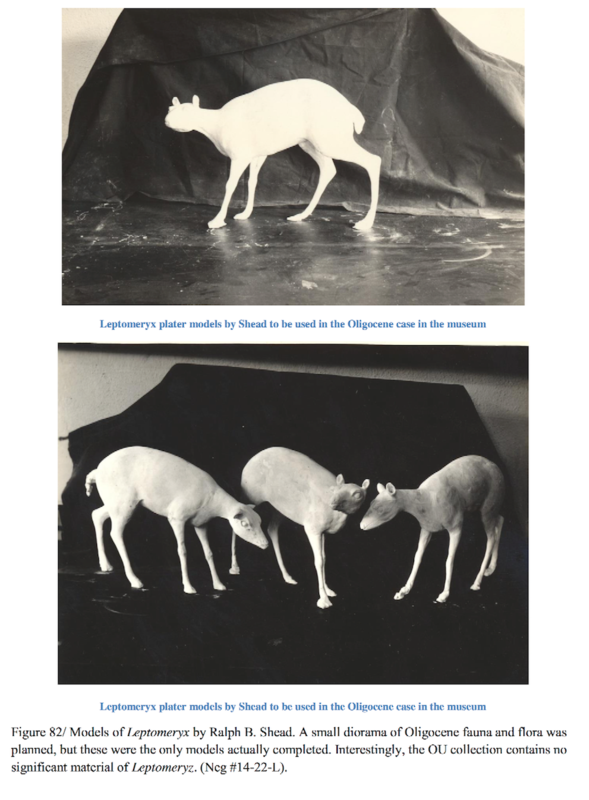 Shead also created other plaster models for reference, and I believe he was the one who fashioned/oversaw the plaster for the Procamelus (now Aepyicamelus) skeletal reconstruction that accompanied the skull until it disintegrated. 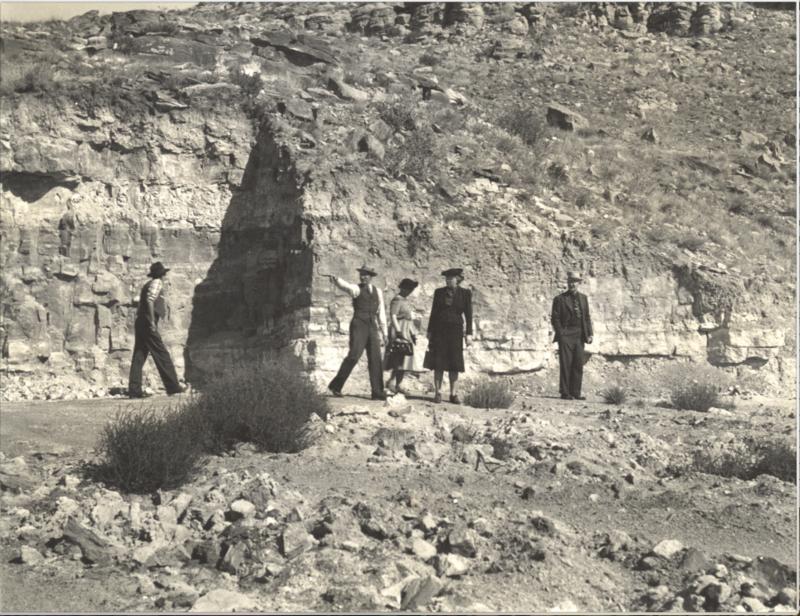 The bulk of Shead’s work predates the formation of the WPA by a year. 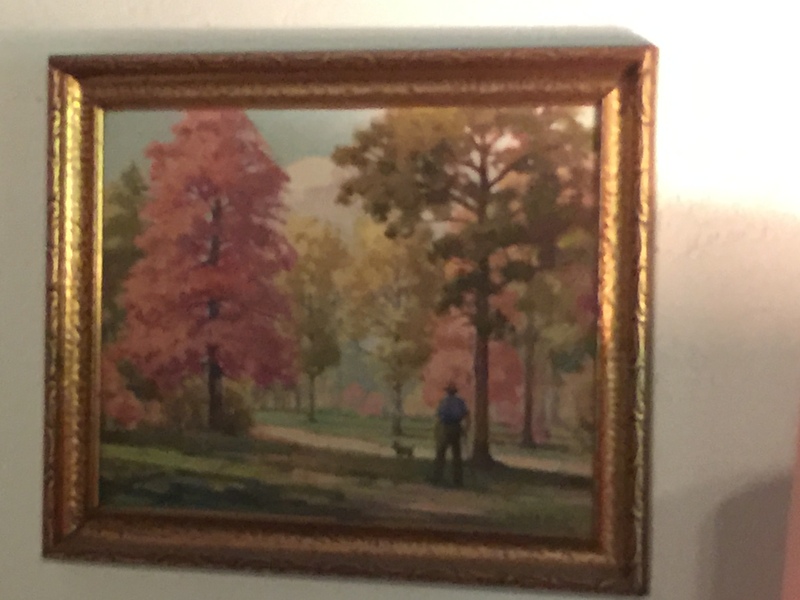 They were the “missing” and then “rehomed” paints from the previous two posts. 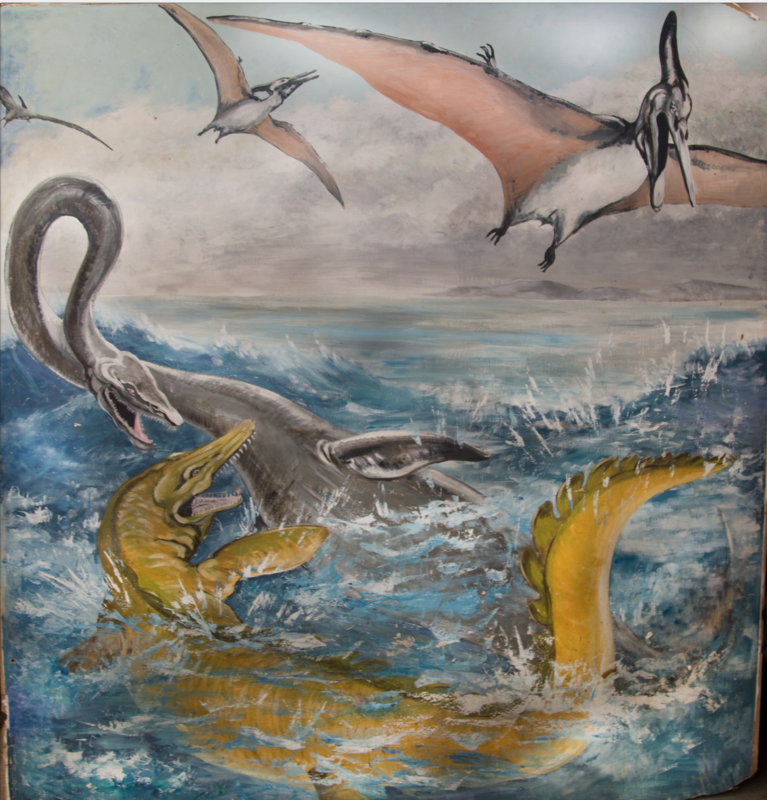 They are also impressive in scale and scope as well, and add three more paleontology paintings to Shead’s portfolio. Ralph’s great-nephew told me that the marine reptiles mural wasn’t one of Ralph’s. 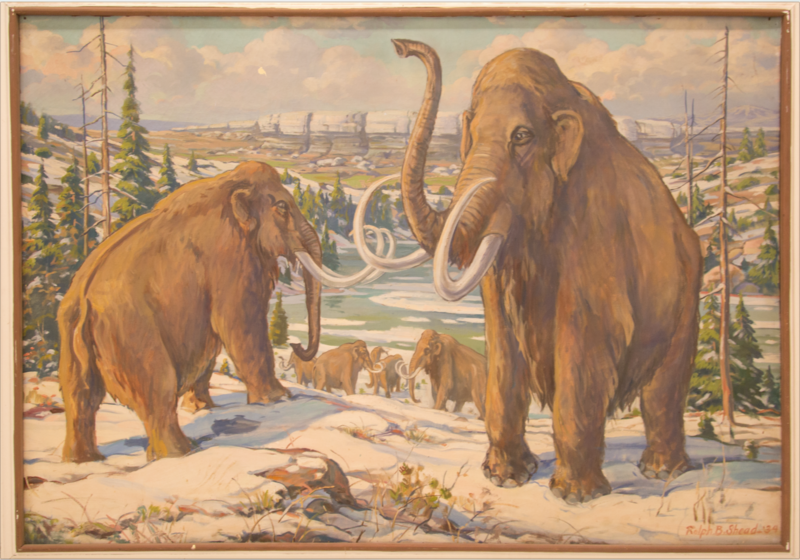 Conrad said he was certain that it was a signed just as the Mammoth was, of course the place where his signature would have been was unfortunately damaged when it was removed from the wall. It doesn’t look quite like other works by Shea, and was painted on sheetrock and not canvass like Shed’s other works, but he did paint most everything that was in the museum. If anyone out there has a photo of this with the signature intact please send it along. There were also some Shead paintings reportedly hanging out in the microbiology department so I went in search for them. There were three, two in an classroom/lab and one in the herbarium office. These were as surprising as the marine reptile mural because I had never seen mention or reference of them. I photographed them to add to my ever-growin Shead dossier. When I was processing the images later that evening I noticed that there were no signatures on the microscope or fungi ones, but I assumed they had been covered by the frame (looking back now I don’t think that is the case, I just need to look harder). The other one was even more surprising because while it is a Shead painting, it wan’t painted by Ralph. 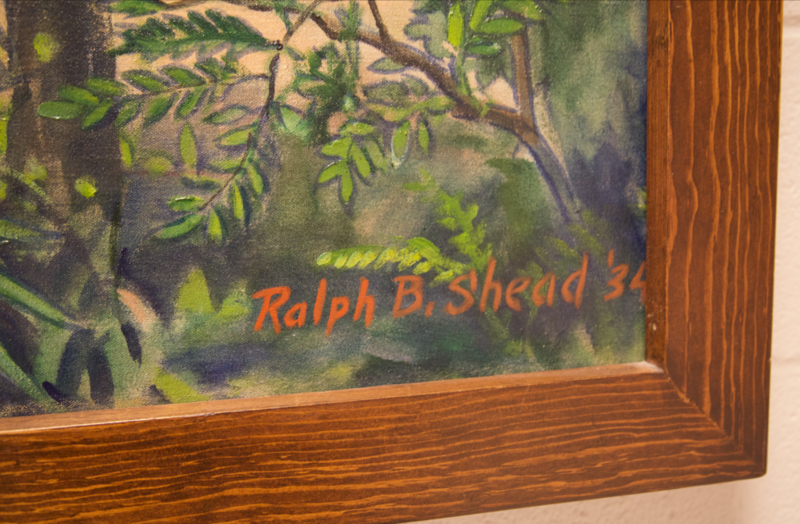 I had no idea there *was* a Robert Shead and that added a whole new layer to the simple project of documenting Ralph B. Shead’s work. I found even less on Robert Shead (1908-1999) than his older brother Ralph. Robert had a son who ended up working at an internationally acclaimed interior design firm in Dallas. 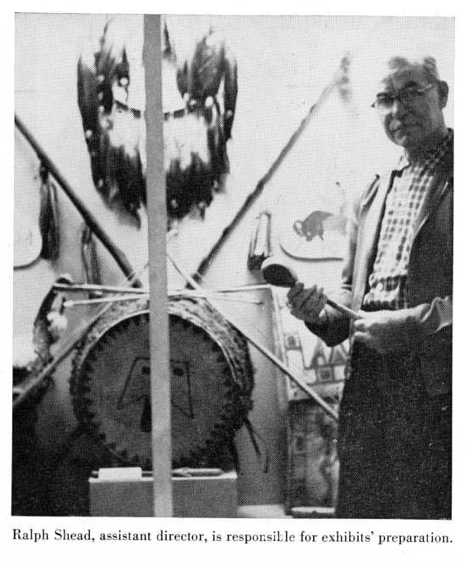 That son’s, (David LaForge Shead) obituary outlined his work followed in his parents’ footsteps studying art and design at OU. I haven’t been able to track down Robert’s years at OU yet. William Shead confirmed all this and added that Robert had a lucrative interior design company in Oklahoma City. He even served as a designer during his war service years, boasting that he has designed the interior of MacArthur’s private plane. 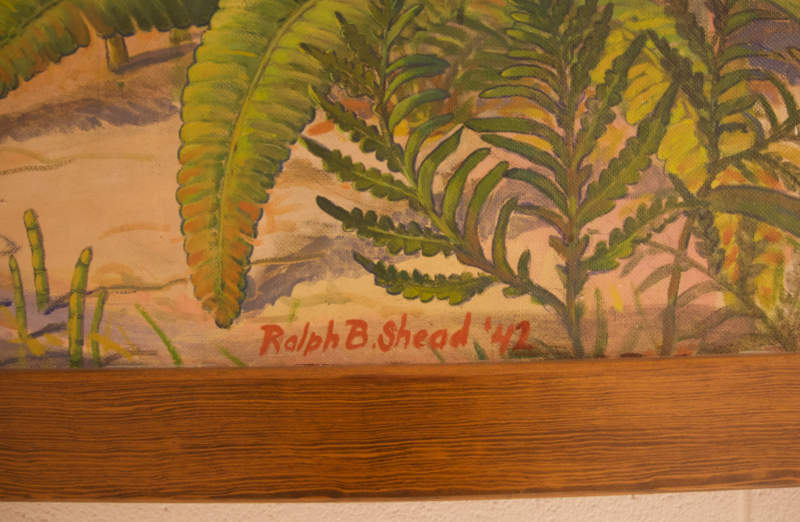 He also confirmed that the fungi and the microscope were Robert Shead paintings and not Ralph’s. 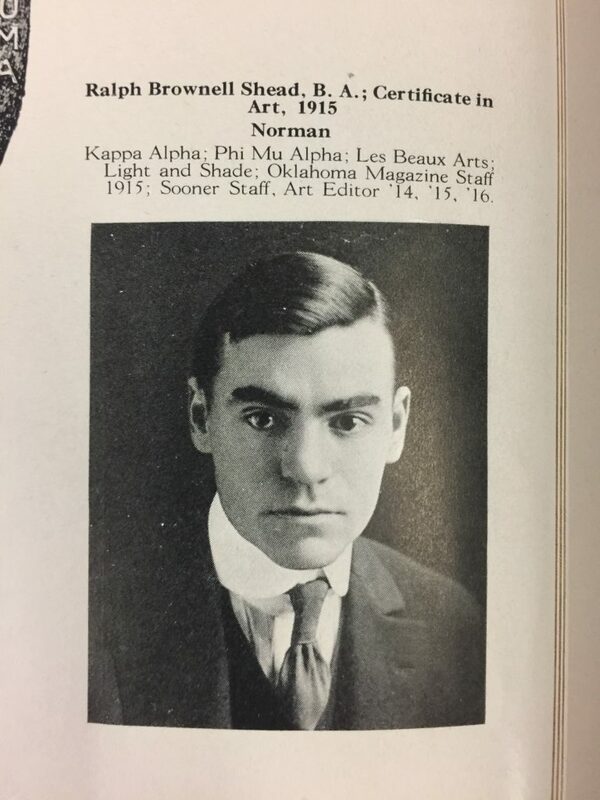 Ralph however received his certificate of art in 1916, 14 years before Stovall arrived at the university, and became *the* name associated with all things museum and paleontology related. 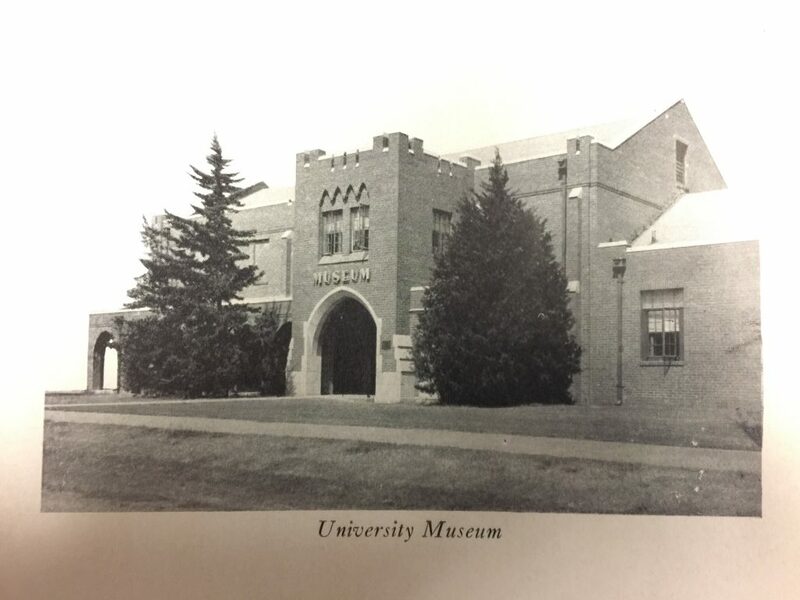 David Levy’s The University of Oklahoma: A History, Volume II 1917-1950 only mentions Shead in a single sentence: “Ralph Shead, a professional artist who became a long time employee of the museum, designed displays and created historic murals.” (214). 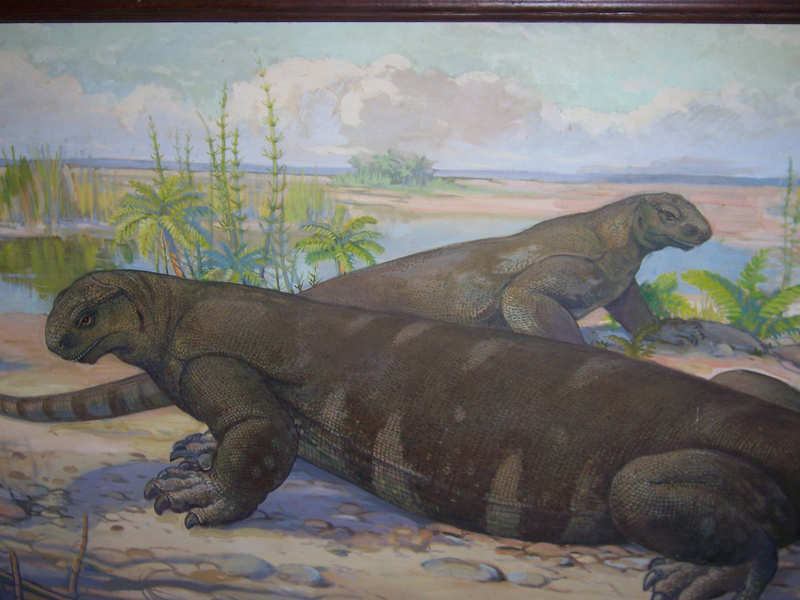 At least two of which include a Jurassic scene and the background for the oreodon exhibit. Not only did Shead paint the background but he did the figure sculpting for the diorama as well. 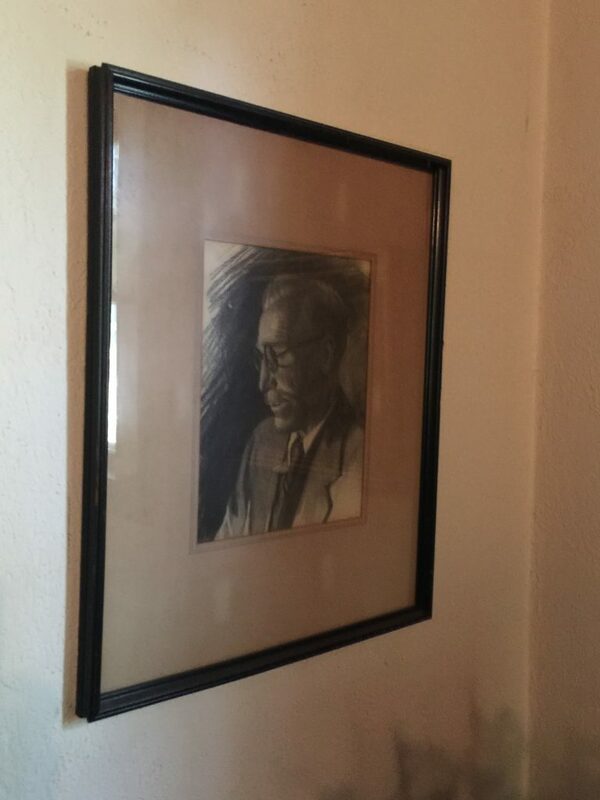 Pretty short-shrift for someone who produced four 13+ foot paintings, three slightly smaller ones, and served as acting director of the museum between 1952 and 54 (Stovall died in 1953) after the “new” Museum was opened in 1951. 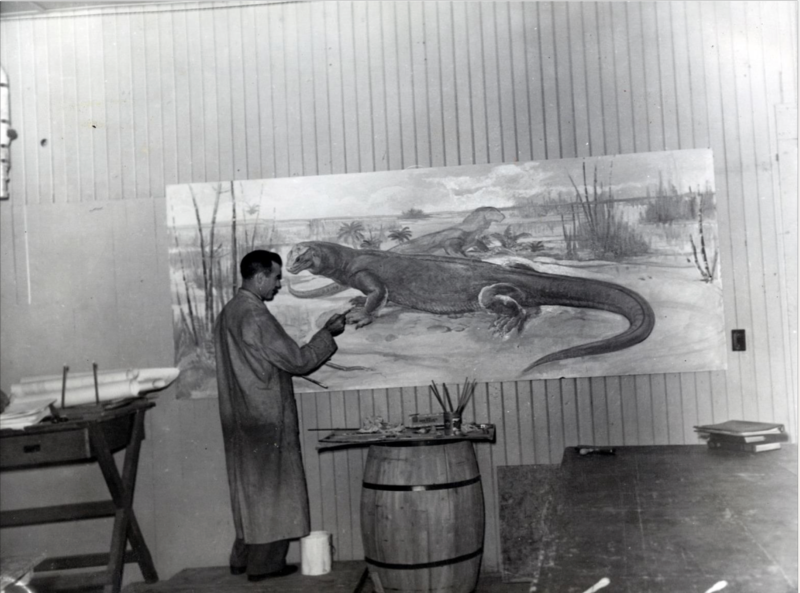 The paleontology paintings aren’t even the largest scale that Shead worked with while painting at OU. 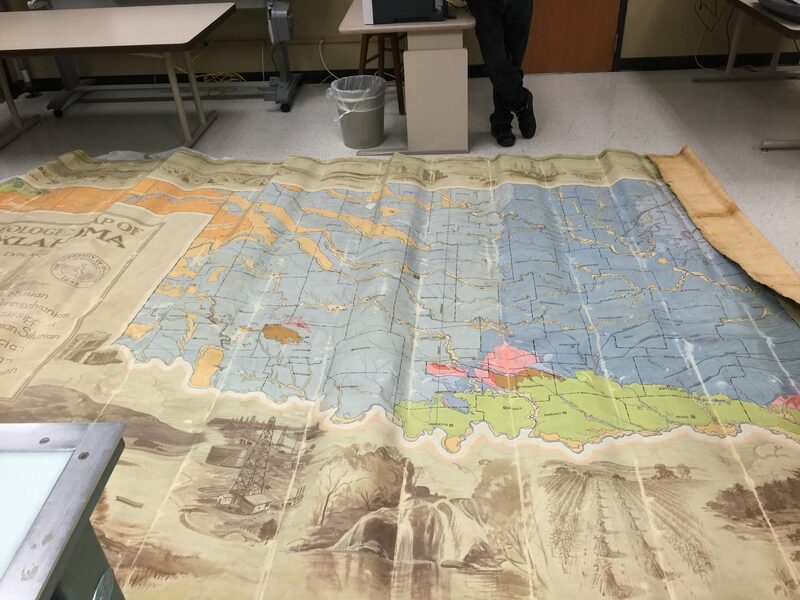 There is an enormous geological map of Oklahoma painted with various labor scenes around it that I will be spending some time with next week photographing more completely and attempting to do some digital repairs on it. Shead wasn’t bound to the art studio during his tenure at the museum. As WPA superintendent part of his work included accompanying the visitors and press to sites worked under WPA funding. 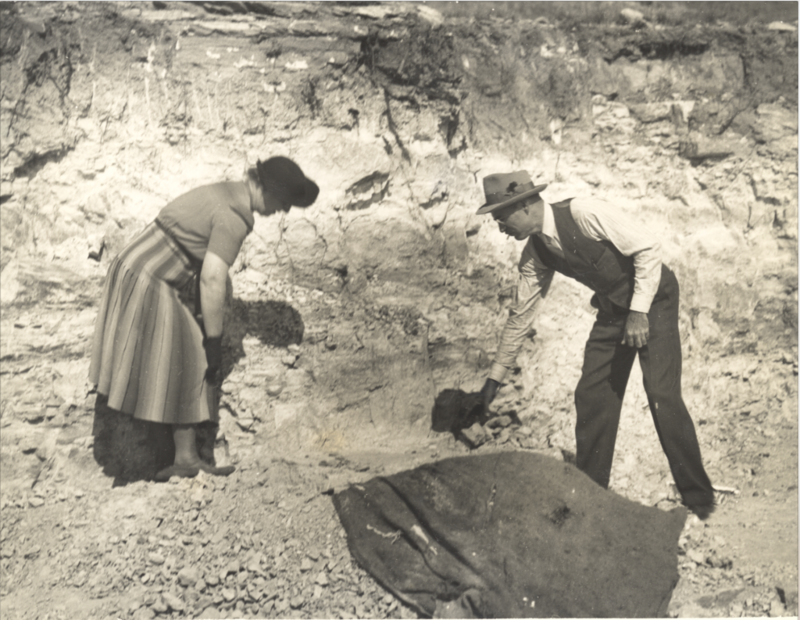 Here here is during the “This Project Pays your Community” public tour week in the Cimarron County Dinosaur Quarry. Similarly, Shead’s fieldwork was not simply administrative. 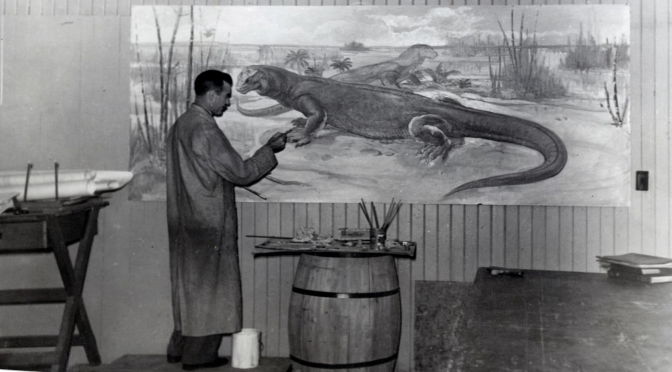 There were times when Shead as a “museum technician” was involved in the dirt of the excavation, and like his paintings he worked with dinosaurs and extinct mammals. Later in 1941 Shead published a 7 page informational booklet on the Bear Zuni Fetishes from the Spiro Mounds archaeological excavations. 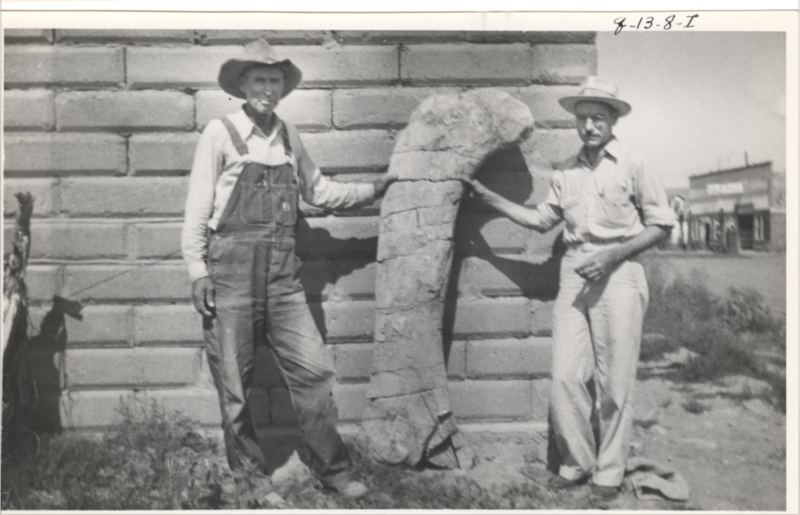 Spiro was another scientific University WPA project. OU Anthropology students Shawn Lambert and Lucius Martin presented a poster highlighting the OU WPA artists and their illustrations for the Spiro project and publications. Interestingly this poster hangs in the same paleontology hall as the first two Shead paintings that I saw. While I was working on this collection of Shead work, I contacted his great nephew William who not only lives in Norman, but lives at the original Shead address. 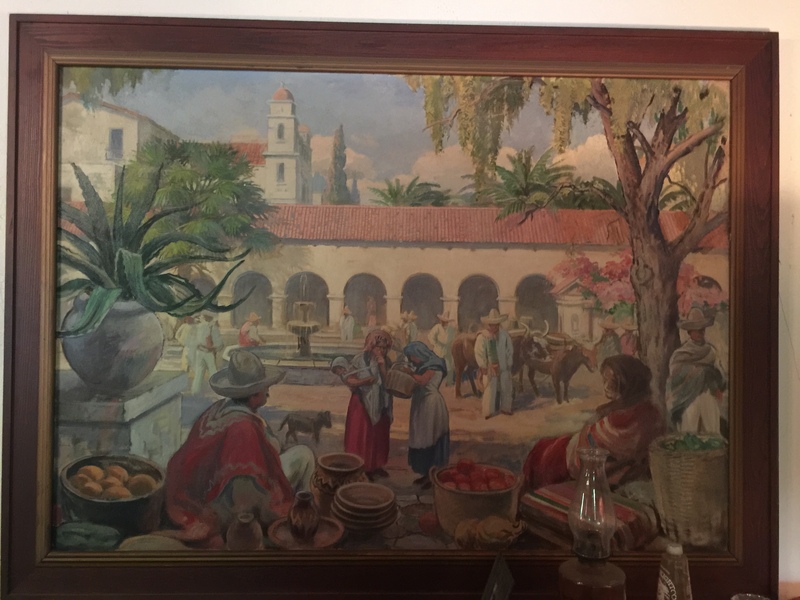 The original house burned in the 1930s and the current house is a gorgeous faux adobe Mexican colonial partially designed by Ralph with the interior designed by Robert. It is definitely my favorite house in Norman. I spent the afternoon surrounded by even more of Ralph’s art in his old house catching up on the Shead family history which is as fascinating as I had figured and in a surreal way similar to threads of my mother’s side of my family. Just to add all the smaller pieces of Shead’s work here to what is part of the University it is obvious that Shead painted all the time. 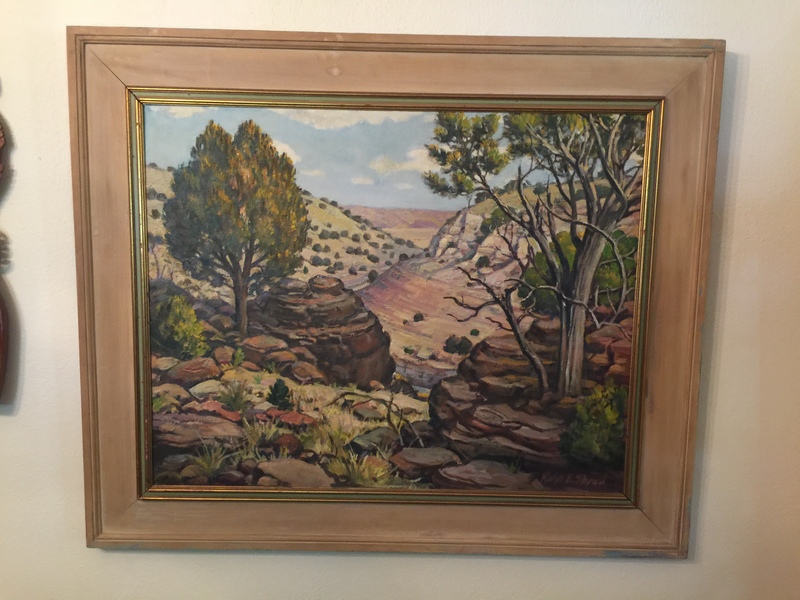 Some of these landscapes are from the areas in the panhandle area which William said Shead really liked. I am going to make it a habit of visiting more often and next time I will have my big camera, but for now, having all of Ralph’s extant work together, even if it is just digitally. is a pretty fulfilling feat. There is at least one more that was given to a family psychologist friend. Either set of these would be an impressive portfolio, when lumped together is simply staggering. 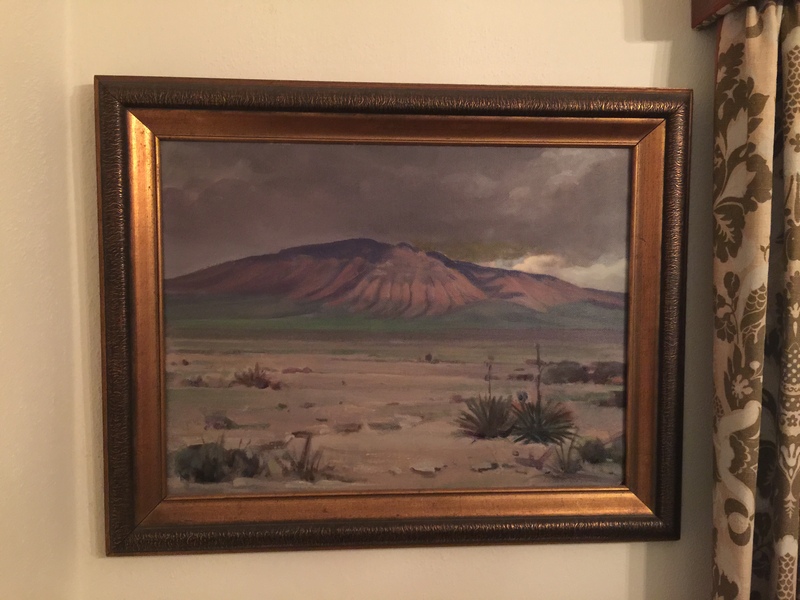 Most are normal “house-art” sized (16×20 or so) except the Mexican scene, it is at least 48×60. I want to try and get some better photos of at least that one for a print. 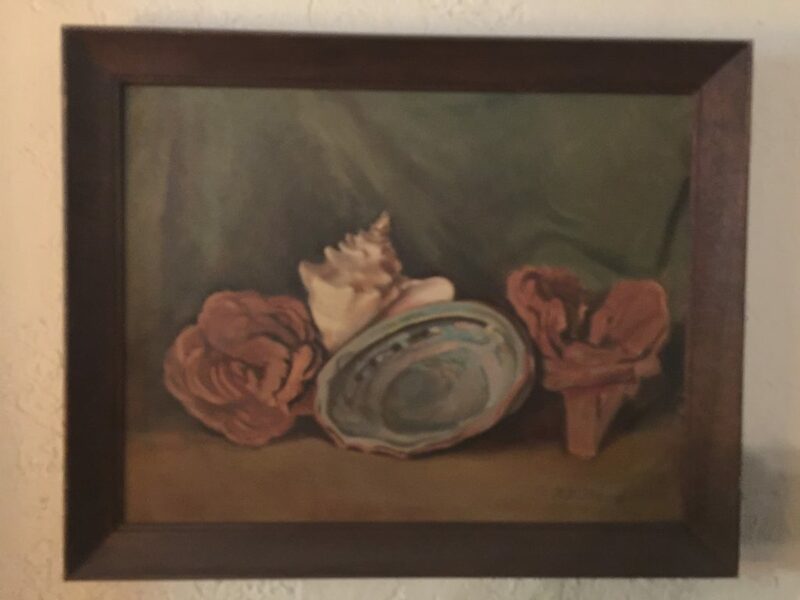 I don’t know much more about the artist that was born in New Madrid, Missouri in 1892; What was he up to between 1916 and 1933 when he started painting for Stovall and the museum? 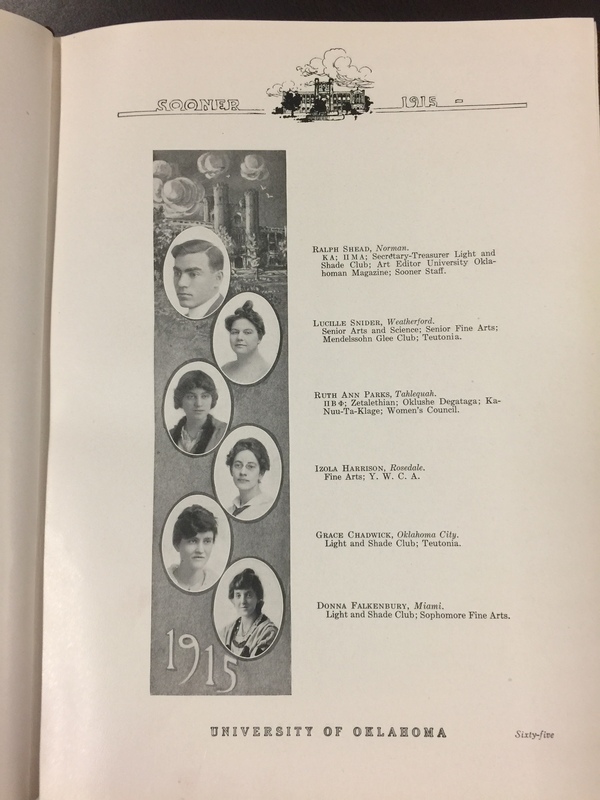 Shead’s WWI draft card lists him as a school teacher in Jenks in June of 1917. William said he thought Shead was pursuing a master’s degree in art in Indiana before the family called him home to help during the depression. A few newspapers have him exhibiting art at the Herron Art Museum and the Indiana State Fair. He is mentioned as living in Indianapolis with his brother Walter (newspaper reporter) in the reports of Laurance’s death in 1933. 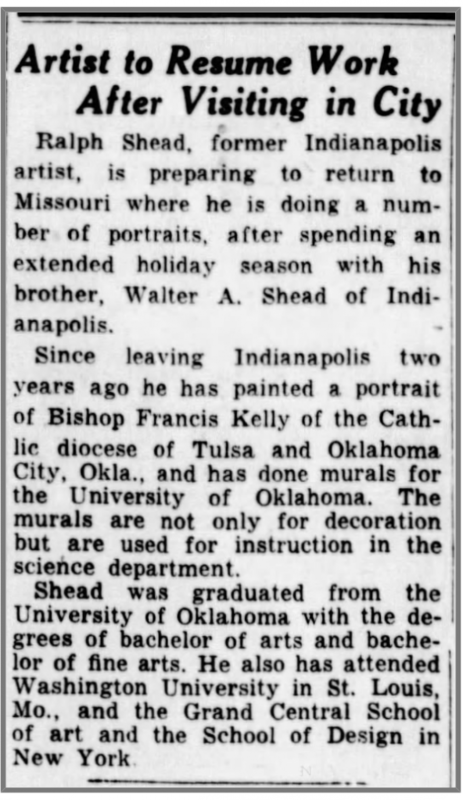 An article in the Inianapolis Star (January 8, 1935) lists Shead as having attended Washington University in St. Louis, MO, the Grand Central School of art, and the School of Design in New York. 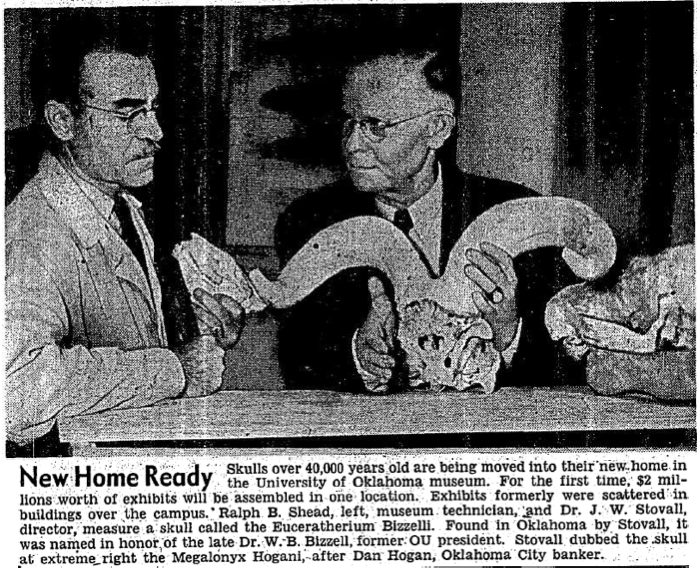 It mentions his OU museum murals and a potrait of Bishop Francis Kelly of the Catholic diocese of Tulsa and Oklahoma City which all seem to have been completed in 1934. Museum Director Borhegyi and Assistant Director Shead discuss exhibits for the public library. 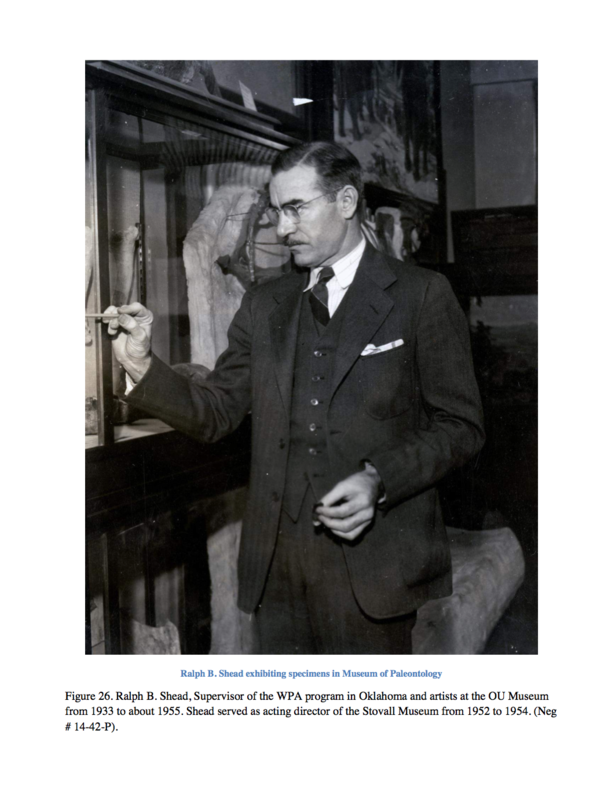 According to William Eugene Hollon’s A History of the Stovall Museum of Science and History (1956), during the late 1940s through the early years of the 1950s Shead was the only full-time museum employee. 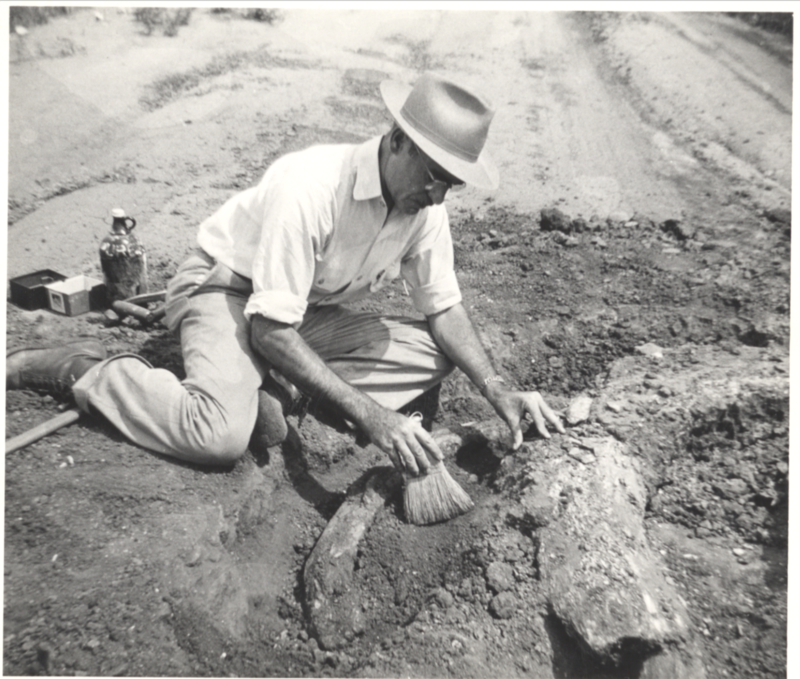 He serve as assistant director and head of exhibit preparation at the renamed Stovall Museum until he retired in 1960. He continued to paint the rest of his life finally laying down his brush in 1969. 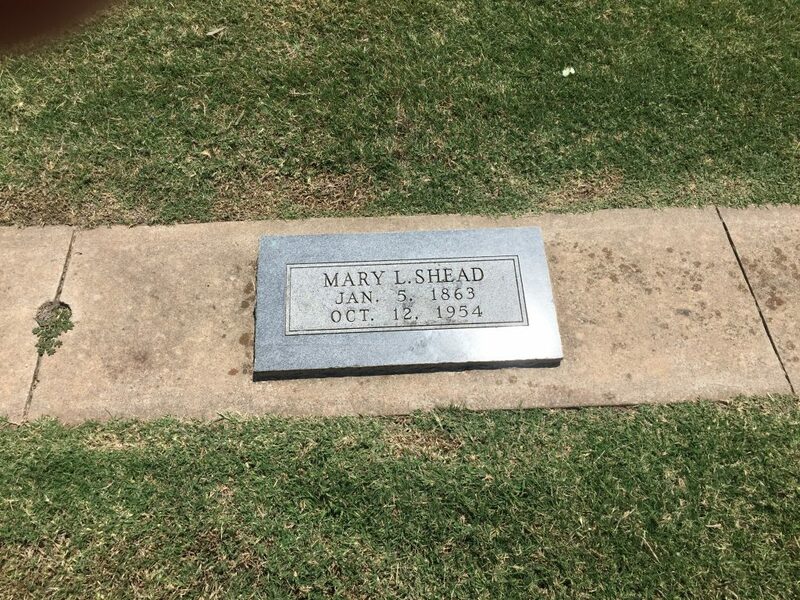 Shead is buried next to his parents and brother (not Robert) in the the St. Joseph’s Catholic section of the Norman IOOF cemetery on Porter St. in Norman, less than 50 yards from J. Willis Stovall and his wife. 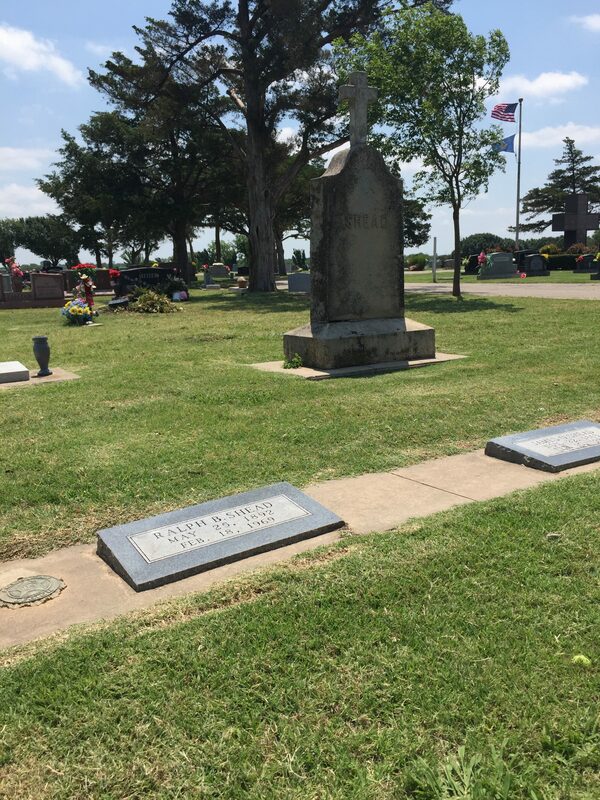 There is an American Legion medallion next to his headstone. There were even a story tied to the headstone. 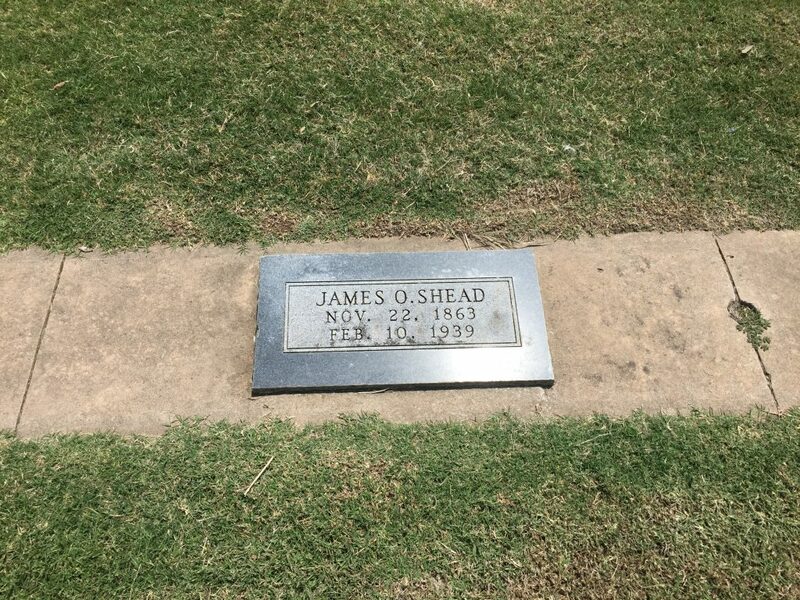 The large Shead stone was created by Shead’s father James. He was skilled with concrete and decorative planters and birdbaths are part of the front garden at the house. The family stories are not without tragedy either. The brother Laurance that is buried here was a fairly successful theatre manager at the Garden Theatre in Paterson, New Jersey who was known to help anyone down on there luck. One such patron, a prospective singer from Georgia named Louis Kenneth Neu took advantage of his kindness, accompanied Laurance to his apartment for a party, and eventually hit him from behind with an iron and stole his wallet. 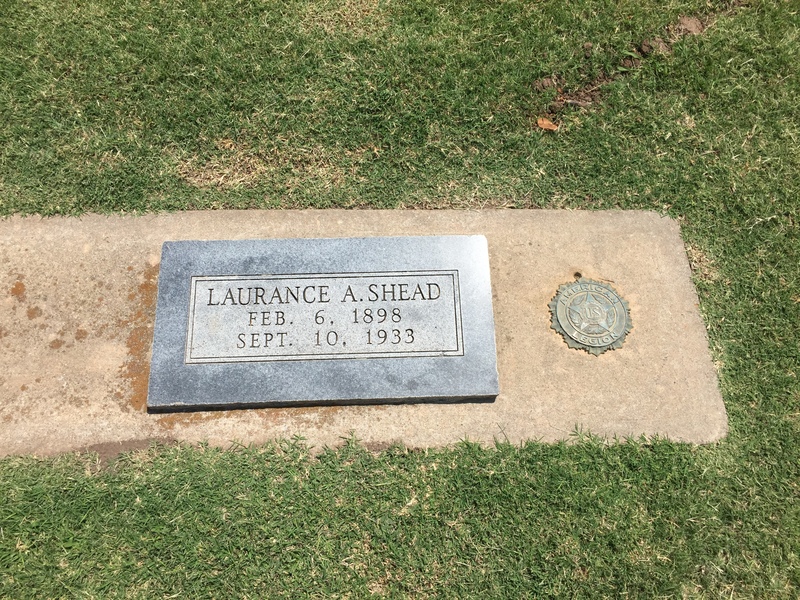 Laurance died of his injuries and Ney was later apprehended and executed in New Orleans for the murder of Laurence Shead and a wealthy Tennessee businessman. Their mother Mary is, so far, the longest-lived Shead, and her story ties the family to one of the most significant geological stories in North America. Her Father’s Grandfather, a LaForge survived the New Madrid Earthquake only to catch pneumonia from wading through the slush that was once his farmland when the Mississippi River flooded. He later succumbed to his illness ultimately making him another victim of the quake. 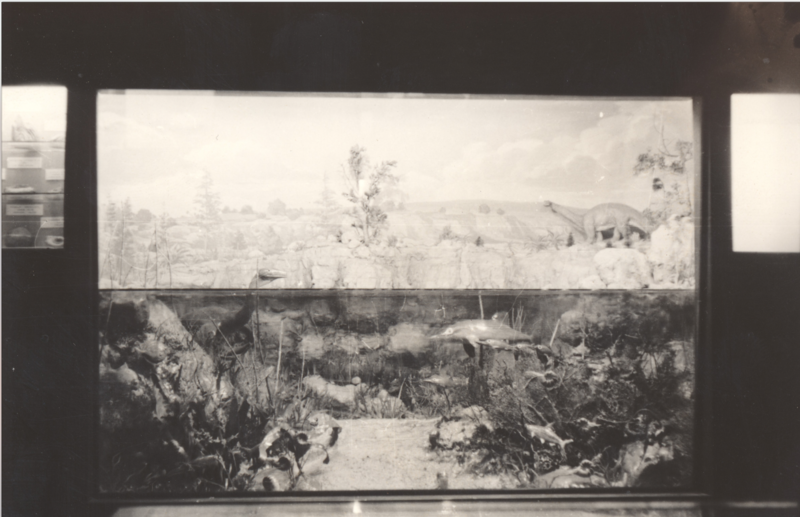 His surviving work is impressive by any standard, and that isn’t taking into account all the already (really) lost “displays” and “historic murals” that served as backdrops for all the dioramas throughout the museum. 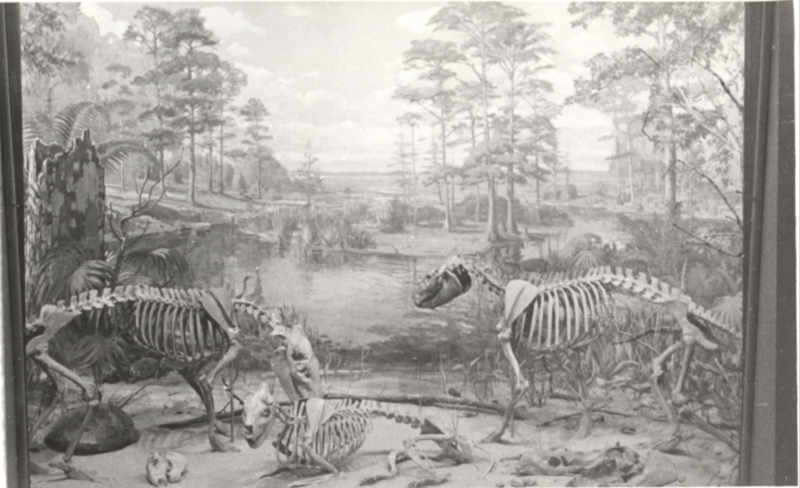 His work isn’t simply art or background, paleontology or archaeology. 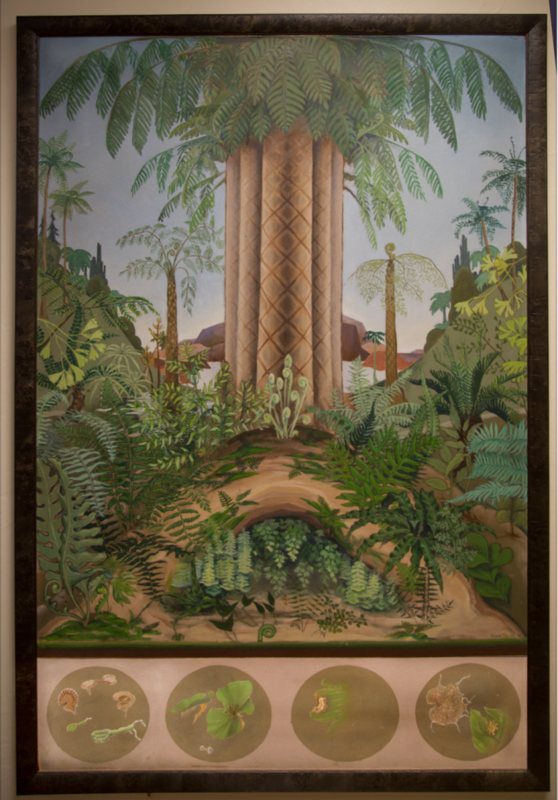 His work crisscrossed all aspects of the museum, its collections, and ever expanding subject areas (which I think is why I have been drawn to finding out more about him). They also remain some of the strongest physical links to the history of the university museum outside of the collection artifacts themselves.